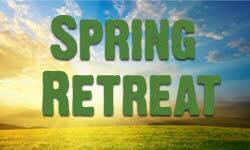 Join our Lake District Spring Retreatl! Spend three nights in idyllic surroundings exploring ways to help you be the best you can be. The weekend includes a mix of uplifting workshops, activities, Meditation, Sound Energy, Gongs and plenty of time just to BE! Though the final session is on Sunday afternoon, there is the option of staying over until Monday (at no additional accomodation cost) to share a meal and time together as a group on Sunday evening. Cost is £240 per person- full board and inclusive of workshops (based on 2 people sharing- single person supplements available). £50 deposit secures your place with payment plans available for the balance. Contact Liz (07931534474) for further details or to book your place.